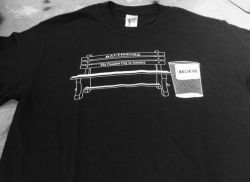 Check out this great shirt designed by local Baltimore artist Brandon Nicklas. Machine washable. 100% Cotton.